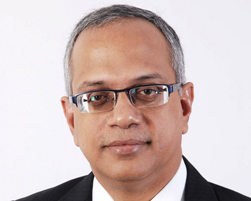 Anand Sudarshan is a front-runner, with experience in the information technology industry for almost two decades, followed by a tremendous stint in the field of education, that enabled him transform Manipal Global Education into a leading higher education, services and training entity out of India. Anand believes that education can truly bring about transformation in both, individuals, and communities. He is active on several industry forums, and is the founding member of EDGE, a higher education forum and think-tank. He continues to engage with the central government on committees on education policy, especially ones that focus on the use of technology for enhancing equity and access to education at all levels. If you wish to connect with Anand Sudarshan, you can send him an email at anand.sudarshan@head-held-high.org.